To get Panini football sticker books directly into the hands of 6-10 year old boys and girls who like football in the run up to the 2014 World Cup. 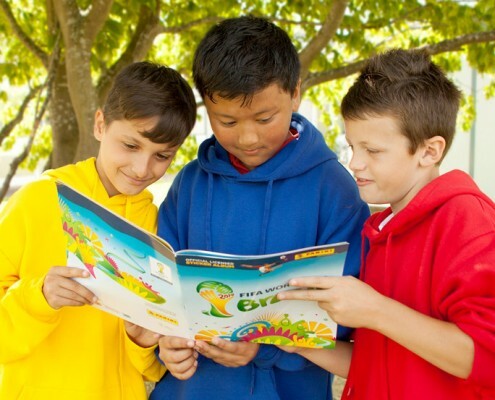 Distributed 100,000 Panini World Cup sticker books to 650 Primary schools across the UK. Boomerang managed the project from start to finish and through our good relationships with schools ensured that we got ³buy in² from those who wanted to participate. The campaign reached 871,000 children and received fantastic feedback. Schools really embraced the initiative, using the sticker books in lessons to build up greater knowledge about countries competing in the World Cup.